The ArticPro Gloves are designed for use in cold conditions such as those found in cool rooms or packing frozen or cold products in supermarkets for example. 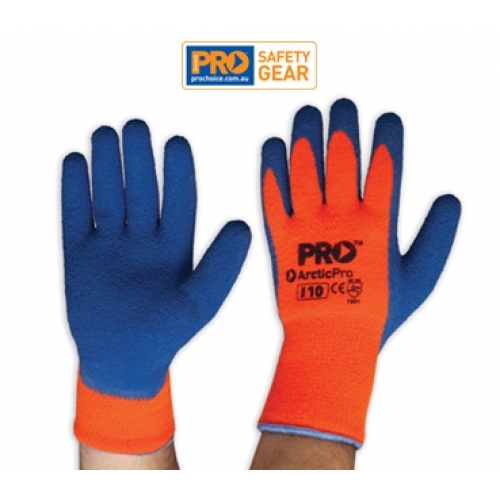 The gloves are heavy cotton machine knitted with high-vis ornage backs with acrylic wool lined inners. The palms have added latex to help give the gloves extra grip and they have excellent abraision resistance. The cuff has and extra 5cm added for extra protection.